Hi, if you are reading this blog then you were chosen, by me, to read this info. Yes, I have Early Onset Alzheimer’s. Shannon and I found out on October 28th. To say it was an extreme punch in the gut is putting it mildly. We are facing it head on and will fight the fight until we cannot fight any longer. I am not sending this to you to look for pity. Neither Shannon nor I want to be looked at with sadness or sorrow. You know me. I am a lover of life, family, laughter, music and friendship. Shannon plays it a bit more closer to the vest but I do have her “permission” (lol) to get this information off my chest and out to you. With that said, I ask only for this. 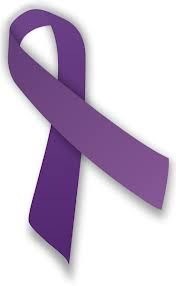 If you hear of, read about or discover any information about Alzheimer’s, I ask you to pass it along to me. You can leave comments here on the blog, send me a message on Facebook or e-mail me at thebrianleblanc@gmail.com. I also ask for for your support, not your sympathy or pity, but support, not just for me, but for the three people who are everything to me . . .
Bradley (Brad, he likes that name better. lol) a great, loving, intelligent son; Asheton, the most wonderful, loving daughter any father could ask for; and last but certainly not least, my rock, my best friend, my traveling partner, the love of my life, Shannon. They didn’t ask for any of this, but never once have they showed anything but love for me. I’m not sure what I did to deserve them but I am so thankful for them. I will be posting updates here to keep you up to date on my progress. Maybe something that I share, or you share with me, will be helpful to someone else going through the same thing. I would love to be able to help others who are in need. Thanks for letting me share this with you. Thanks for being part of my family and my circle of friends. Support? I can do that! You’ve always had that and it’s not about to change now. A Cliché, yes, but nonetheless very true, “That’s What Friends Are For”. Thank you for sharing this info and I pray that you still are able to live life to the fullest while you still can. Brian we will definitely keep you and your family in our thoughts and prayers. Be strong and stay positive. You’ve faced challenges head-on since I’ve known you, & I have NO DOUBT that you’ll do so with this opportunity. Even if you are an Aints fan. Brian, you and your family are in my prayers! Ah, our sweet, friend Brian. We will support you, love you, and pass on any information that we come across. Keep the fight going, and never, ever give up! Brian, Shannon, Asheton and Brad…you all are in our thoughts and prayers! Be strong / never ask why / have faith….you have the love and support of your beautiful family and so many friends! Love you and praying for you daily….hope to see you soon! Thank you and we hope to see you soon also. Y’all are two wonderful people who we are very fond. Now that we are living on YOUR side of town, we may bump into one another more frequently. Brian, I have no doubt that you will stay one step of this disease. I am honored that you picked me among your circle of friends to share your blog. I have many things to tell you about since my mother passed away from Alzheimer’s. Thank you for sharing this info with me. I had no idea that it could hit people as young as us! I will definitely send along whatever info that I come across and if you need anything from me, feel free to ask! I mean that. Even if it’s just to be a sounding board. I’m here for you! No words……just love. 😉 We’ll get through it as a family. That’s what we do. Thanks Jen! Love right back atcha! Wow, so sorry to hear this Brian. Thank God you have a wonderful family that understands and is there for your support. Our memories are something we take for granted daily. I can remember many elderly patients of mine who had this and how sad it was to watch them with their families and the pain of them not remembering some of them at times. Have seen the early and late stages of this disease, and it is heart-wrenching to see and much worse to go through. Prayers for you and your family.